A few weeks after I created the Magical DLP Twitter account I started searching the internet for Disneyland Paris related books. I thought there would have been loads to choose from but I was wrong. There is the amazing Disneyland Paris: From Sketch to Reality by Alain Littaye (which I will review soon) but that was really it. A few days later I was searching Amazon and eBay for “Disneyland Paris” and I came across a book called Once Upon an American Dream: The Story of Euro Disneyland. At first I just scrolled right past it. 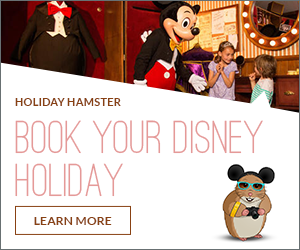 The front cover didn’t grab my attention and it didn’t shout Disneyland Paris to me but for some reason I went back and found myself clicking on the link. As I am only new to the Disneyland Paris community I am not sure if this book has been discussed or not but it hasn’t been mentioned on the list of books people say they have in their collections. They say you should never judge a book by its cover and this saying is true for this book. The front cover has nothing to do with Disneyland Paris, Disney or anything magical. The clouds and strange font colours and layout make it look like a project a year 7 ICT student designed. But like I said, don’t judge this book by its cover! A Disneyland for Europe (How Disney searched for a European location for a new Disney resort including all of the political negotiations that went with it). Designing the Euro Disney Resort (How Disney Imagineers reinvented the Disney theme park for a European audience). Marketing a New Magic Kingdom (focusing on the ways in which the Euro Disney Resort was promoted, from TV, Radio and corporate sponsorship). Rescuing the Euro Disney Resort (Looking at the struggles in the early years of the resort and what was done to overcome them). It’s a Small World, Inc. (Looking at the future of the resort and how Disneyland Paris has served a s catalyst for other parks around the world). The book is easy to read and full of facts, quotes and all the information you will need to know about the early years of Disneyland Paris. Andrew Lainsbury has definitely done his research and has had access to some big players in the world of Disney. I would definitely recommend this book to every Disneyland Paris fan. Even a fan of theme parks in general as it is well researched and put together. The book also lists all of the people he interviewed and the journals and articles he used to compile the book. A must read! Grab a copy from Amazon here.